Lancashire Music Hub exists to provide musical education and opportunities for children and young people across the county and their experience and musical development is at the core of everything we do, but how do we ensure we are really listening to children and young people and, at the same time, nurturing their sense of ownership and investment in their own musical journey? For many years, we have advocated for a child-centred approach, with our teachers, and music leaders taking individual learning styles and musical preferences into account. We also promote youth leadership within our music centres and county ensembles and our young leaders are actively involved in decision making about repertoire, trips and performances, structure of rehearsals, marketing, recruitment and more. Hub partners, More Music, also have an extremely strong track record in this area, with an established Young Leaders group who, as well as organising gigs and events, are consulted on a wide range of issues affecting the whole organisation. They also work towards their Arts Award through the project. 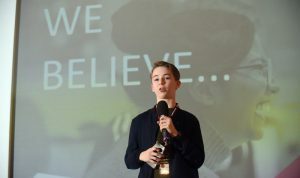 Building on this existing work, we felt the logical next step was to make sure young people voices are represented at a strategic level in our Music Hub and can have a meaningful impact on shaping the future of musical education in Lancashire. 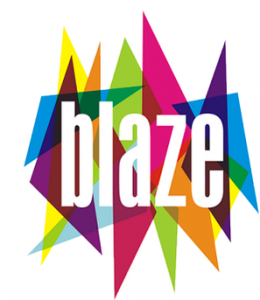 Working in partnership with the youth-led charity, Blaze, we set about creating Amplify – a youth music council for Lancashire. Following an open meeting held in June 2018, we recruited a core group of 7 young people who met throughout the autumn term. The group are representative of range of musical backgrounds, including a young jazz musician, a YouTube singer-songwriter, a brass bander, a rock guitarist and a young promoter. The group also have different experiences of music education – some find that formal education supports their musical development but others have had the opposite experience. They also learnt about the context of music education in Lancashire and came up with some ideas for future priorities including a network of creative spaces for young musicians, free places to record music and get it heard, access to music industry education, opportunities to host gigs, and gaining inspiration through workshops with professional musicians. Both their manifesto and their ideas were presented to the Hub’s Strategic Board in October. They were hugely well received by board members and it emerged that there was much common ground with shared beliefs and ambitions. 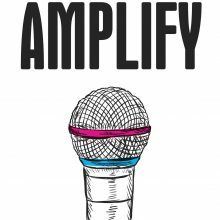 The Amplify group were also invited to present at the prestigious national Music Mark Conference, which is held annually and attended by representatives from across the music education sector. They spoke about the project, presented their manifesto and fielded questions from an audience of 250 delegates. Great to see young people speaking with such confidence about the importance of music education at the #musicmark2018 annual conference. Following the success of the first phase of meetings, the presentation to the Hub Strategic Board and the Music Mark Conference the groups will be getting back together in February for phase two of this exciting project. This will focus on researching what is happening in other areas of the country and also collecting and exploring the views and experiences of children and young people from all across Lancashire. The findings will be presented by the group in the summer and launched with a celebratory event planned for July 2019.